WASHINGTON DC USA -- HEALTHCARE UPDATE NEWS SERVICE -- MARCH 18, 2019: The Fourth National MACRA MIPS/APM Summit, www.MACRASummit.com, will be held on June 17 - 19, 2019 at the Grand Hyatt in Washington, DC. 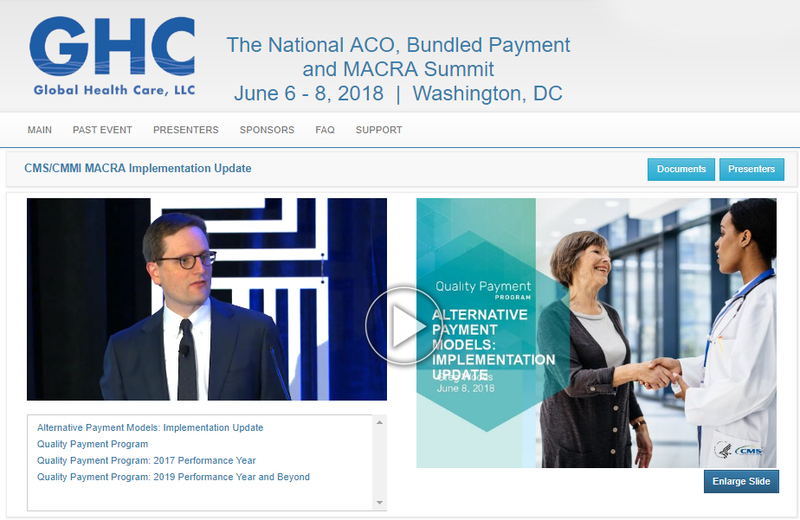 The MACRA Summit IV will be collocated with ACO Summit X and Bundled Payment Summit IX, and the three events will share a joint plenary session. Registrants may attend the event in person or online (live webcast and archived for 6 months). For sponsorship and exhibit information, visit www.MACRASummit.com/promotional-opportunities/, or contact Justin Sorensen, Exhibit Manager, at (206) 452-0609 phone, (206) 319-5303 fax, or exhibits@hcconferences.com. For Summit registration information, visit www.MACRASummit.com/registration/, email registration@hcconferences.com, or call 800-684-4549.